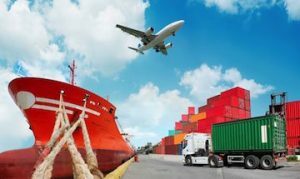 Do you ship or package hazardous materials (or dangerous goods) and offer it for transportation by ocean? Do you load/unload Cargo Transport Units? Do you prepare or sign dangerous good shipping papers? Are you seeking IMDG training online? We now offer International Maritime Dangerous Goods (IMDG) Shipping Training online! Our 3-hour IMDG Ocean course covers the fundamentals of shipping dangerous goods by ocean according to the IMDG requirements. This course is a self-paced course. You can come and go as you need and have 60 days to complete it. This course serves as both initial and recurrent training. You can have your staff take this IMDG online course individually or all together. Once you have received your hazardous material shipping certification, you will be certified for 3 years and will be able to ship internationally via all carriers. If these strict requirements are not met, heavy fines and citations may be imposed. Whether you plan on shipping hazardous materials or dangerous goods domestically or internationally, we offer in-depth IMDG training online that will help you get your certification in no time. Who needs IMDG Dangerous Goods Training? How often do I need to renew my IMDG Dangerous Goods Training? IMDG training is required every 3 years. Who writes the IMDG Dangerous Goods Training? Email us for a customized quote at studentwork@scm-safety.com. Our talented hazardous material shipping experts here at Safety Compliance Management can create customized webinar training session(s) to cover international hazardous material or dangerous goods IATA, IMDG and TDGR shipping training requirements for your specific product(s). 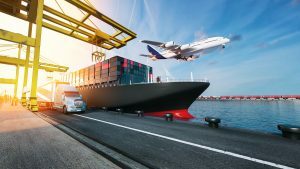 The International Air Transport Association (IATA) and International Maritime Dangerous Goods (IMDG) code both dictate specific hazardous material training requirements that must be met by shippers of dangerous goods. To get the best value for your money, you pay only for the time it takes us to develop and deliver via webinar, at your facility or onsite with us your product-specific coursework and materials. You may have as many employees as you would like participate in the international shipping training session, and each participant will receive a hazardous material shipping certificate after completing the course. We only require that you have undergone Basic DOT Hazmat training to provide you with an overview of hazardous materials and general shipping requirements prior to your customized onsite or webinar training session. Our fully narrated course is broken down into multiple chapters with a knowledge check quizzes scattered throughout the training. The quizzes will prepare you for the multiple-choice final exam, which you will take at the end of the course. After passing the final with a score of 75% or higher, you will be able to print your personalized certificate with your name, course title, date issued, as well as our company information should anyone need to verify the authenticity of the certificate. If you are interested in learning more about our online IMDG training course or enrolling, we are more than happy to assist you. Give our friendly professionals a call at 877-OSHA-NOW (674-2669), or send us a message to discuss your needs. We look forward to serving you!